This is an extract from my Deep Purple biography published in 1983, about the group’s disastrous visit to Indonesia in December 1975. 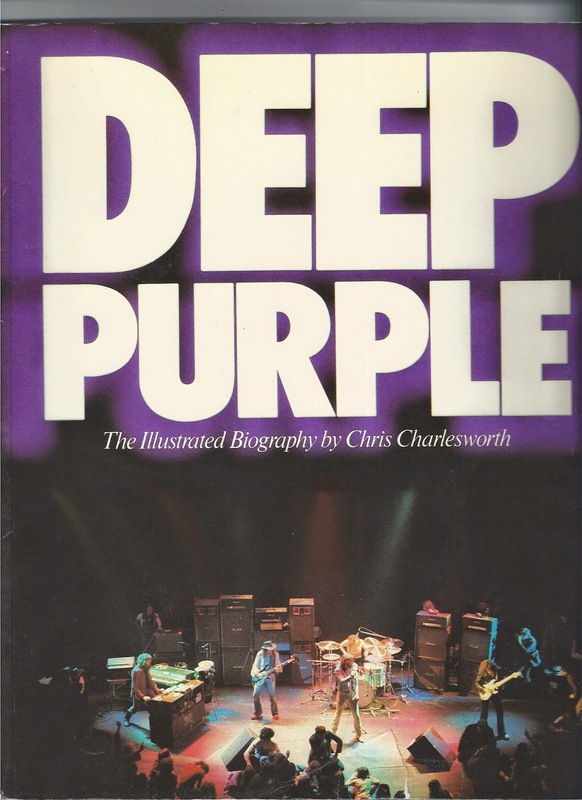 The book was ‘authorised’ insofar as some of the group (Jon Lord, Ian Paice, Ian Gillan, Roger Glover and Glenn Hughes) all gave me interviews, as did both their managers, two record producers and some members of their road crew. Ritchie Blackmore declined for reasons best known to himself and my planned interview with David Coverdale fell through because his disagreeable manager wanted to set conditions that I found unacceptable. No-one vetted the manuscript, however, and the book was remarkably candid, far more so than most authorised biogs that simply serve as PR exercises, perhaps because at the time no one thought that Deep Purple had an afterlife beyond the split in 1976. Jon Lord proved especially forthright in telling his story, a true gent. From Australia Purple were scheduled to fly north to Japan but on the way a concert had been arranged at the Indonesian capital of Jakarta. Their brief visit to this undemocratic island nation was shattered by the most distressing event in the entire history of the group: a week later reports reached the English press that a member of their security staff had been killed ‘after falling down a lift shaft’. What is certain is that Patsy Collins, their affable Cockney bodyguard, was never seen again and that tour manager Rob Cooksey was ripped off to the tune of $750,000. The episode has never been fully explained. When Cooksey arrived and went to inspect the venue he received his first shock. It was an enormous outdoor stadium that held 125,000 people and they had never promoted a concert like this before. The stage was made from orange boxes and the security was the Army who were in total control and in league with the promoters. The first concert was performed before over 100,000 people in a state of some apprehension and Cooksey realised that, taking into account the ticket price and calculating Deep Purple’s concert fee on the same basis as their American concerts, the group’s gross for the two shows ought to have been in the region of $750,000. He demanded a meeting with the promoters at Purple’s hotel after the show. Cooksey was woken up at 4am and, with Glen Hughes and the second bodyguard – “Paddy the Plank” – taken to the police station and informally charged with being implicated in Collins’ murder. From the courthouse the trio were taken to the airfield where the plane was waiting with the rest of the group and crew on board. But their problems weren’t over yet. “One of the wheels had a puncture and the captain requested the use of a special jack and torque wrench but we had to pay $10,000 to use it… plus they didn’t have anyone there who knew how it worked. [Roadies] Ozzie Hoppe, Baz Marshall, myself and the engineer from the plane ended up changing a wheel… on a Boeing 707. Feelings were running so high at this point that there was a plot hatched to grab one of these officious little Indonesians and throw him out somewhere over the ocean on our way to Japan. Fortunately I heard about it and scotched it. Patsy Collins was a well liked figure on the London music scene, an employee of the Artists Services security company and a frequent visitor to the Speakeasy Club and other haunts of rock musicians. He had worked for several well known acts and, with his usual partner ‘Fat Fred’ had been featured in a hilarious aticle in Melody Maker in which their exploits were graphically described by writer Roy Hollingworth. Romantic stories that Patsy never died and for reasons best known to himself decided to concoct a story with an anonymous confidante and disppear into the anonyminity of the Australian outback are whispered even now. While his fondness for cold lager provides the flimsiest of motives, no one in the Deep Purple camp seems to have actually seen the body. There the matter must rest. Wow, amazing story Chris. Thanks. Hell, that incident alone could make for quite a book! Saw DP late in their career, 1985 Perfect Strangers tour at the Spectrum. They were amazing. Some of the best musicians I've ever seen. Do you know what hotel the band was staying in where Collins died? Is it still there? The hotel name is Sahid Jaya Hotel (on Jalan Sudirman, Jakarta), it still exist until now (but now the hotel is getting old and outdated). As an Indonesian I am very sad to read this story. Deep Purple is like a god to us who love rock music. I concluded that it was a horrible things which happened in Jakarta caused by a bad promotor, Denny Sabri. He died already. I fell sorry for Glen as we Indonesian people always love you and Deep Purple. Again, very sorry. God bless you all. I'm sorry. I have no idea where Ian is these days.